Another one from the Trident label. 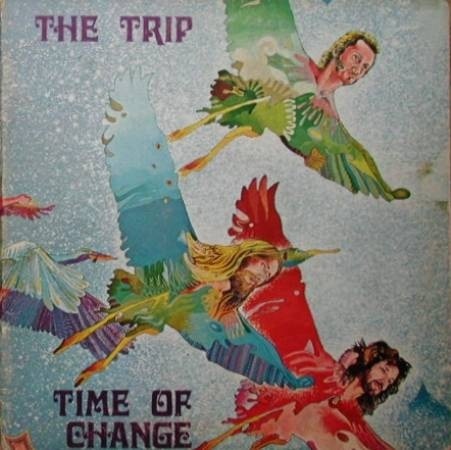 In the early 70s The Trip produced three fairly unremarkable albums as a four-piece led by guitarist/singer Billy Gray. After the 1972 album Atlantide, Gray and drummer Pino Sinnone left the lineup, the former to pursue a solo career. Gray would not be replaced, but Sinnone's kit was soon replaced by that of none other than Furio Chirico, the hyperactive drum-wizard who would later founded Arti e Mestieri. As the title implies, without a guitarist and now featuring a jazz drummer, the band took on a new sound based more on the keyboards of Joe Vescovi, with Chirico and bassist Wegg Andersen providing the solid foundation. While some comparisons with ELP could be easily made due to the composition of the lineup, Vescovi really doesn't have Emerson's chops. Even so, the compositions are still quite interesting, and the busy rhythm section more than makes up for any shortcomings at the top end. Vocals are unobtrusive, and occasionally reminiscent of Jon Anderson, and for this one – which would be the Trip's final album – the lyrics are all sung in English.